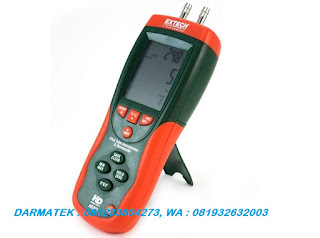 Extech HD-350 A Pitot Tube Anemometer + Differential Manometer. 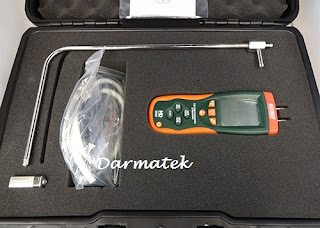 Wind speed gauges are widely used in the fields of meteorology and geophysics. This tool is used to measure wind pressure which can be used to process weather forecasts and help data on certain calculations such as flight. The advantages of this tool are data speed and wind pressure that are obtained very accurately compared to other tools. This anemometer has a capacity of 1 to 80.00M / S. Anemometers are often used in industries, factories or workshops.